ϟ Potter & Phelps: ϟ#193 Clemence Poesy about The British Films Awards. ϟ#193 Clemence Poesy about The British Films Awards. "Last night I attended the London Evening Standard British Film Awards at the London Film Museum! First off all I had to arrive in London, of course. It was, as always, pretty cold but I was still quite excited. I have to admit, that I knew from the start, that I’m NOT going to wear a dress, since the weather in Europe is kind of cold and perished. My first thought when I arrived at the London Film Museum was: Wow, the people have changed, but the weather still hasn’t! I got pretty excited once “Harry Potter And The Deathly Hallows” got an award in the ceremony! You can’t imagine how proud I was! :) Well, afterwards I met some good old friends of mine, like Luke Treadaway… I also met some of the former Harry Potter cast, like the lovely Oliver Phelps, Bonnie Wright, Warwick Davis and Jamie Bower. I don’t know why the photos are that pixelized, on my iPhone they look rather “normal”. I’ll try to fix that, I’m sorry. All in all I can say that I ALWAYS enjoy my sojourns in London and Great Britain, but there’s no better place like home… Paris! Au revoir London… Tu me manques ! 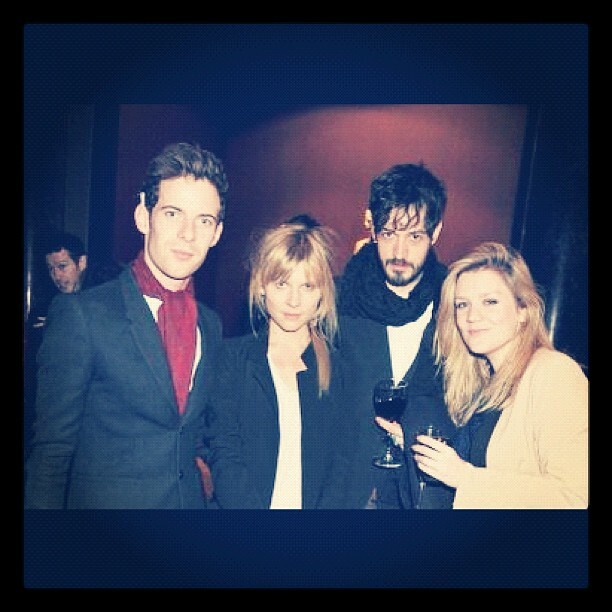 :) xo"
-Clémence Poesy about the British Films Awards.